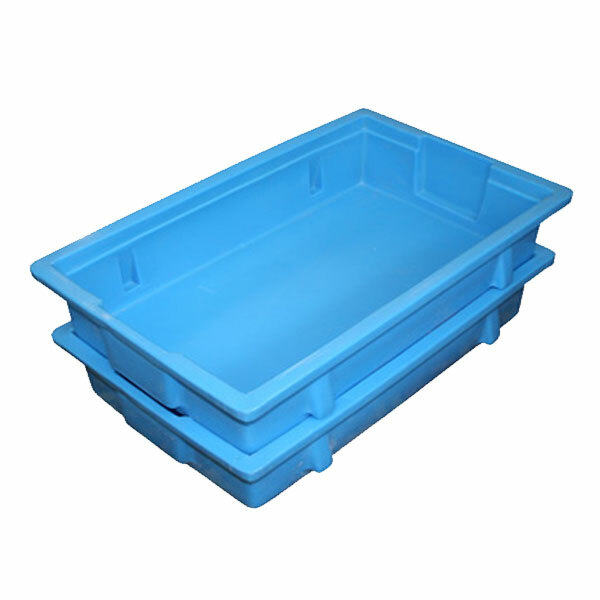 The SN Series SN-004 4.6 Gallon Heavy Duty Stacking Tote is a reusable stack-only tote for storage and other applications. Seamless, molded polyethylene will not crack, dent or rust. Easy to clean and handle, resistant to most corrosive agents. Provides unparalled durability and longevity for commercial and industrial applications. Ideal for warehouse, distribution centers, agricultural, order fulfillment, manufacturing and more. Lids available for some sizes. Customization options include hot-stamps, permanent PE decals, branding and colors. Custom design and production vvailable to meet exact requirements. Outer Dimensions (OD) (LxWxH) 21.25 x 12 x 5"